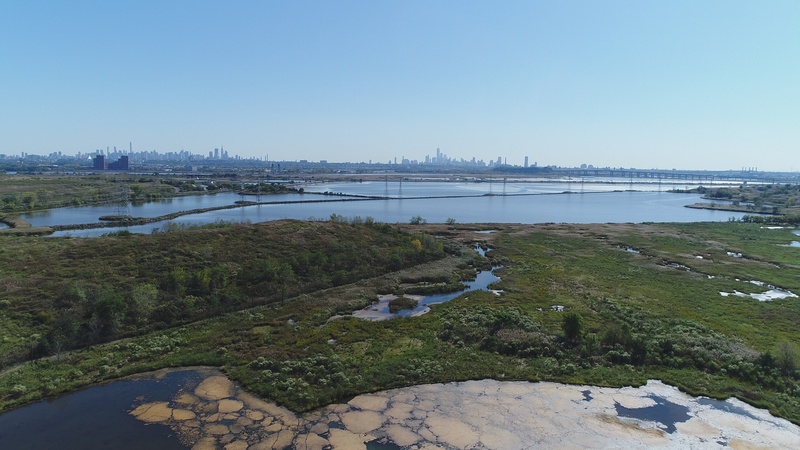 Representatives from the Environmental Protection Agency (EPA) will be discussing Superfund response actions within the Berry’s Creek Study Area (BCSA) and soliciting public input during an informal public availability session. 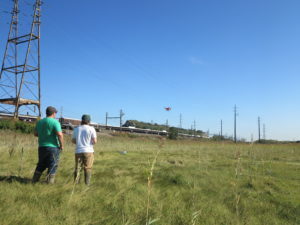 The Meadowlands Environmental Research Institute will host a series of Flight Maneuver classes for commercial drone operators. The course will be taught by Jim Blanchard, ScD, Chief Scientist at UAS Academy*. The intent of this course is to provide a basis for internal pilot training requirements. 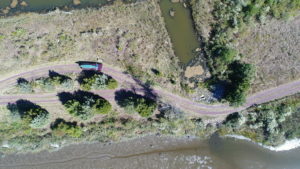 The course is satisfactory to meet the intent of the FAA COA Authorization of “self-certifying” for a public agency flying sUAS that use the DJI GO Application on iPad devices as the primary ground control station (cockpit) of the operations in Line Of Sight (LOS); Day VFR missions. The course is 50% flight operations and 50% pre-flight and post-flight assessment required to master all of the maneuvers in the course guide. 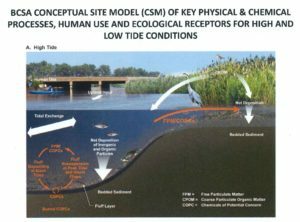 EPA conducted a briefing on the Berry’s Creek Study area (BCSA) remedial investigation at the Meadowlands Environmental Research Institute. The consulting group ELM has recently concluded field investigations of the BCSA which started in 2010. The study includes Berry’s Creek which is a 6.5-mile tributary of the Hackensack River and its surrounding wetlands and waterways. 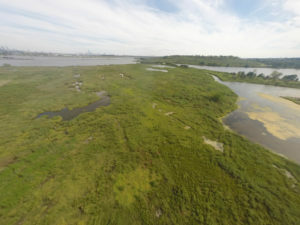 The creek originates near Teterboro Airport, meanders through reed marshes, and then discharges into the Hackensack River. 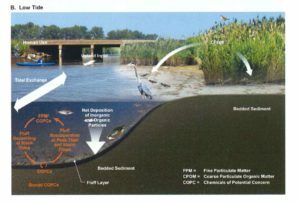 Berry’s Creek Study Area has been impacted by three federal Superfund sites (Ventron/Velsicol, Universal Oil Products and Scientific Chemical Processing) as well as several other hazardous waste sites. The Ventron/Velsicol site located in the boroughs of Wood-Ridge and Carlstadt contained a former mercury processing plant that operated from 1929 until 1974. Process waste, containing mercury and other contaminants was disposed on the 40-acre property. Soils, groundwater, surface water and sediments are contaminated. Off-site sediments and surface water are also contaminated. Mercury and PCBs are the primary contaminants and have been found at elevated levels throughout the surface water, sediment and biota in the area. The Rutgers Future Scholars program introduces first-generation, low income, and academically talented middle school students from our four Rutgers home communities (New Brunswick, Piscataway, Newark, and Camden) to the promise and opportunities of a college education. Participants in the summer before they enter the eighth grade will become part of a unique pre-college culture of university programming, events, support, and mentoring that will continue through their high school years. Students who successfully complete the pre-college initiative and are admitted to Rutgers will receive a sholarship covering the cost of their tuition for four years funded through a range of grants and donations. 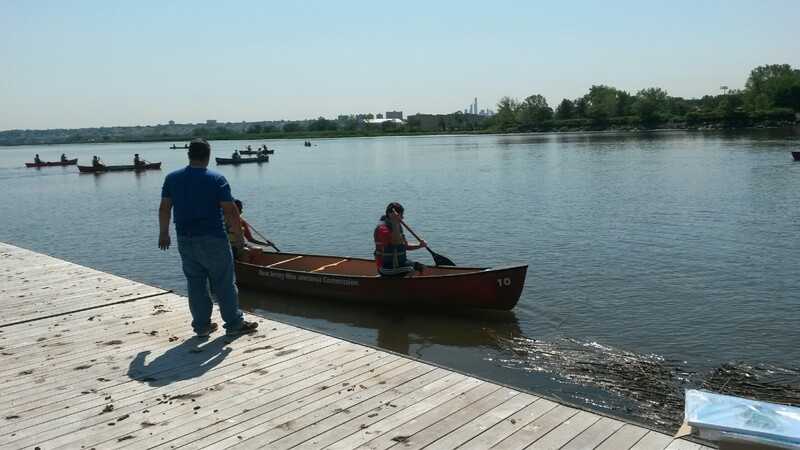 The Rutgers Future Scholars spent the day at MERI’s boat marina in Carlstadt, where they got out on the Hackensack River and learned how to canoe in pairs. 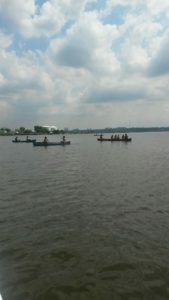 The scholars learned teamwork and coordination while enjoying the wildlife and water. 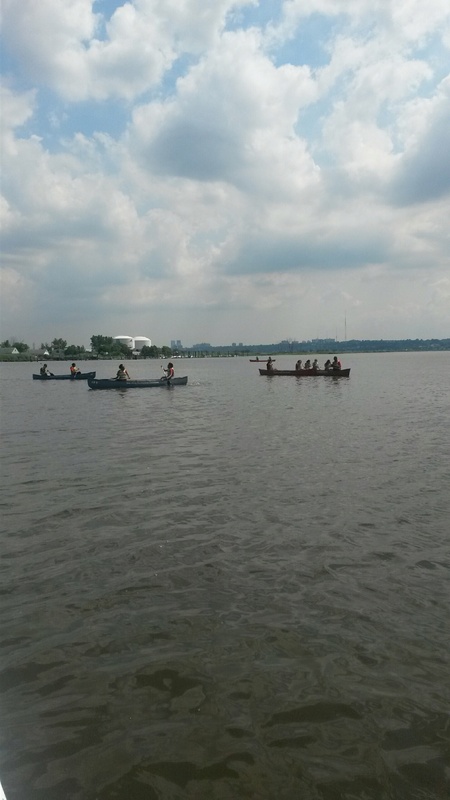 While one group canoed, other scholars sat on the docks and painted the scenery of the river. The workshop was a nice combination of team building, creativity, and education. The Geosciences Scholars Summer Institute funded by the National Science Foundation (NSF) provides an academic experience within a college setting to African-American and Latino-American high school youth for the purpose of exposing them to the many possibilities afforded by geosciences careers in their future. 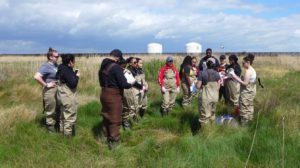 This specific grant was awarded to Rutgers University-Newark, Department of Earth and Environmental Sciences and is known as “Opportunities for the Enhancement of Diversity in the Geosciences (OEDG)”. 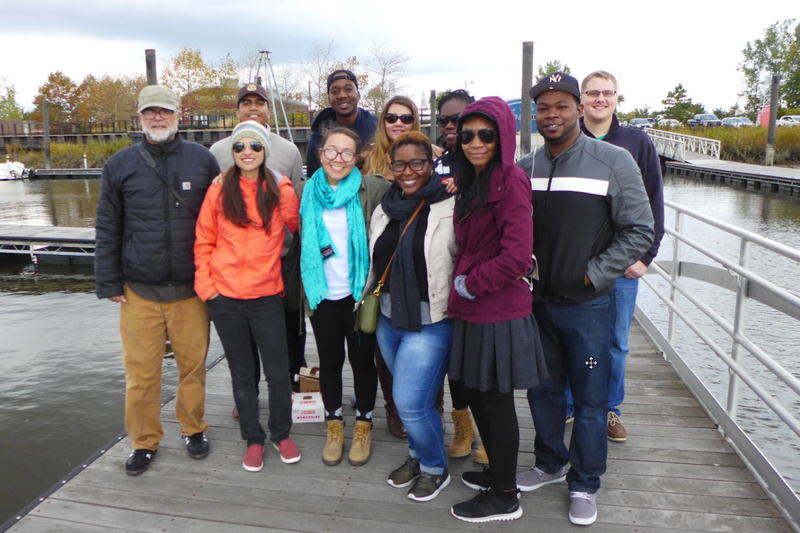 The MERI Institute provided the space and equipment for students to conduct soil and water surveys at the River Barge Park Marina. 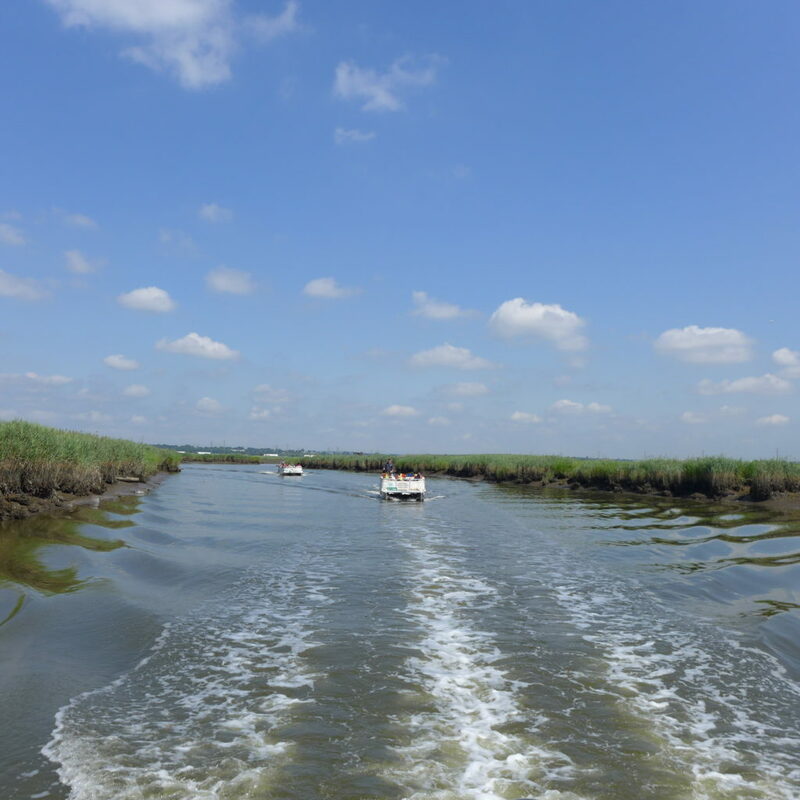 Later on, all students had a chance to tour the Hackensack estuary through a Pontoon boat ride. 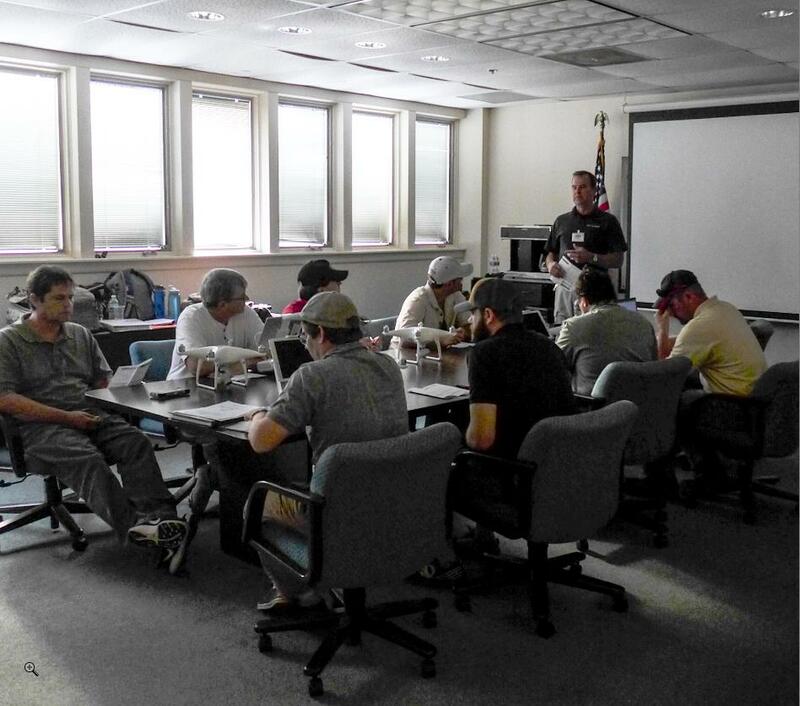 MERI invited UAS Academy to teach a two day ground school course on June 28th & 29th for the FAA Remote Pilot Certificate: Small Unmanned Aerial Systems (UAS) in the National Airspace System. 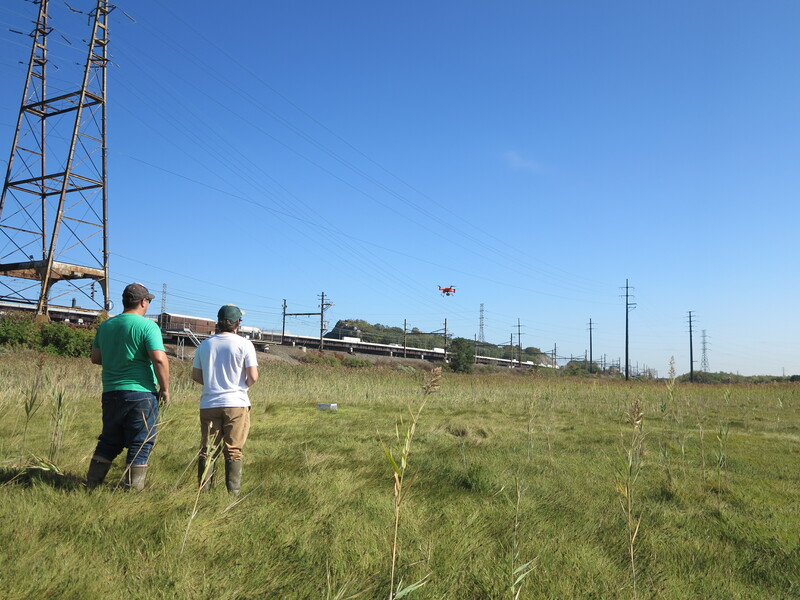 Five MERI employees attended the course to prepare for the FAA Remote pilot certificate exam. In addition to MERI, personnel from NJDEP, AECOM, PVSC, Port Authority, Bowne Management Systems, Burlington County Fire Marshalls Office, and Rutgers University attended the course. The class covered topics in airspace regulation, crew resource management, meteorological reports and science, aerodynamics, and remote pilot regulations. MERI plans to use drone technology to take high resolution aerial imagery and for vegetation mapping. 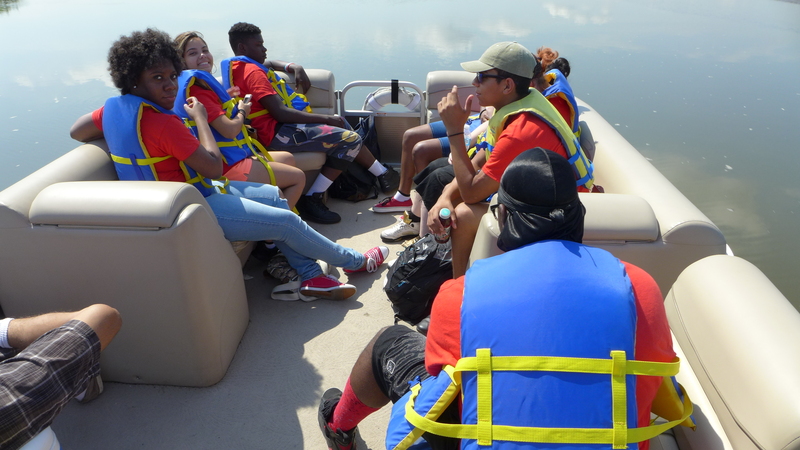 Seniors from North Star Academy school in Newark, NJ visited MERI for a workshop in GPS training and water quality assessment. Students learned about the chemistry lab, GIS and GPS equipment, and the environmental monitoring equipment taking information out in the field. 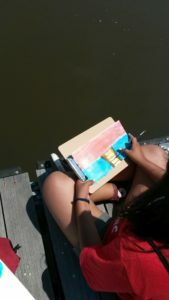 The class recorded water quality measurement data like water temperature, dissolved oxygen, turbidity, and salinity. The students then compared their data between the freshwater source and a tidally influenced source. Ecology professor Allison Fitzgerald from New Jersey City University recently lead an ecology class to a wetland site in the Meadowlands where students were introduced to wetland science field techniques. Using tape measurements and 1 meter square plots students measured plant assemblages and plant densities across an elevation gradient. 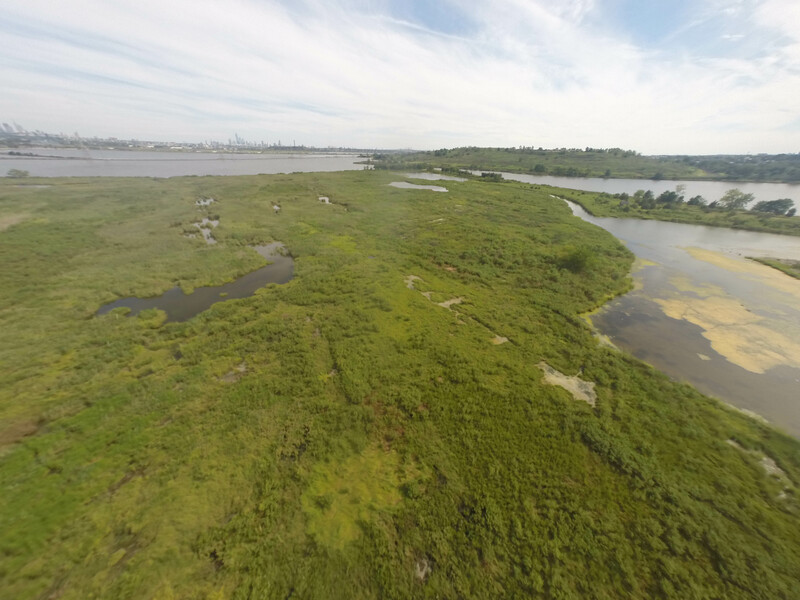 Students found that in tidal coastal wetlands terrain elevation is an important factor determining plant species composition.